My experience with Trail Transmissions was excellent in every way. They are very knowledgeable, professional, and helpful. The work was completed on schedule, and for the price estimated. They took care of everything, and went well beyond what was required, for no additional charge. Exceptional customer service outstanding repair of my catalytic converter on my 2006 Mustang. Sherry Smith and his team of extraordinary mechanics restored my car too like it was brand new the engine is running smooth the acceleration is like a rocket. I recommend Trail transmission to my family and closest friends excellent Crew! Quality service at a fair price. Very knowledgeable mechanics that are a pleasure to deal with. World class shop with a down home feel. Guys where awesome! Had my transmission in less then 8 hours and had me out the door! Guy at the front desk was straight forward. Told me he would have it to me in a day and did also alot cheaper then surrounding shops. Truck runs great! 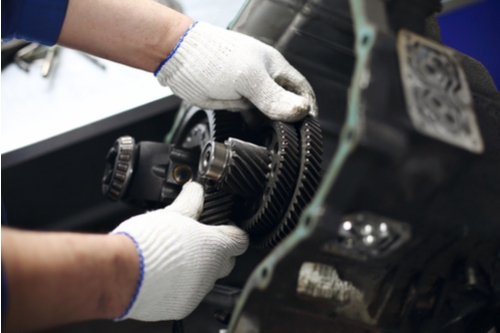 Trail Transmission is the place to have your transmission rebuilt, hands down! Jerry is a great person and contributes a lot of knowledge to this company. I had a conversation with Dean about building a strong transmission, I told him about another transmission shop online that could do what I wanted, he assured me he could what i proposed and more. When I went to pick up my vehicle Ty and Dean where on the shop floor, they said take it for a test drive. When I returned it did exactly what they promised it would do! Can't thank these guys enough, they have built a few transmissions for me and friends that I have recommended and all been happy with the results. Very friendly environment!! These guys are the best!Traveling across country I limped into there lot with only 3rd and 4th gear available. I left the car and within the hour got a call it was fixed and ready. All I can say is wow !!! Highly recommend. I own a Food Truck - French Me LLC and last Sunday my transmission went out. Another food truckers referred me to her mechanic Collin which referred me to Trails Transmission. He said they could definitely do the job with quality and in a timely manner. I called up Jerry and told him I had 4 big events coming up and needed my truck ready by the latest Friday morning. Jerry not only arranged the towing of my food truck, he had it done by Wednesday. I couldn't ask for better customer service and the best turn around time. I will highly recommend his services to my food truck family. Thank you again!!!!! Great service. Extremely knowledgeable. Best price for rebuilding the transmissions on my 67. Definitely will be taking my other vehicles there. While I was waiting, several previous customers came it and talked about how their cars were serviced and could they look at their other cars as well. Very down to earth people. They maje you feel like family. Great Service! If you need transmission work completed use them. They were fast, thorough and professional. I would reccomend this shop. I got an honest evaluation and there were no surprises. They even worked with my warranty company. If I could give 6 starts I would! Highly recommend. Great customer service and very competitive prices with other transmission shops in the area. Straightforward and prompt service. We needed a complete transmission rebuild, dropped it off late Wednesday afternoon and it was ready to roll with a warranty by 07:30 Monday morning. Jerry is extremely helpful and from I’ve see very trustworthy. It’s a local business so they’re definitely more inclined to be honest than a chain. The shop is clean and tidy. I wouldn’t think twice about giving friends or family their phone number. Took my 1984 Trans Am into these guys based on recommendations from both of my neighbors who are in car clubs. I can't begin to describe what a great experience this was. I gave them a call set up a time to come in with the car and they quickly took care of me and gave me an accurate estimate and timeline. My car was ready a day ahead, at the quoted price with no pressure of adding anything else on, on time and it drives like a dream. My shifter was missing a hold down clip and he took the time to go scrounge through his spare parts box and installed it for me at no additional charge. It's these little things that these guys do that will keep you coming back! I highly recommend Trail transmission to anyone who's looking for a transmission service.! First, we’ll properly diagnose the problem with your transmission. After determining the cause of the issue, we’ll communicate with you in plain terms and provide expert advice on your options. 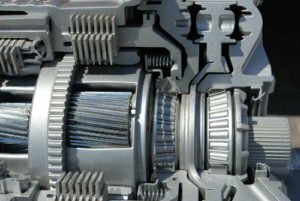 Often times we are able to repair a transmission by accurately diagnosing the problem and replacing only the parts necessary to get you back on the road. 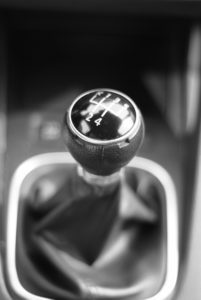 Whether you realize it or not your vehicle’s transfer case is always working. 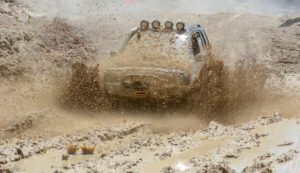 Even if you’re not using your four wheel drive it is still working so it’s important to make sure it is always running properly. The transfer case directs power to both ends of the vehicle (axles) through two separate driveshafts. 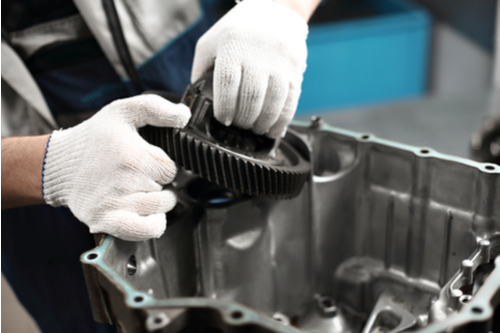 Signs of a worn out transfer case can include grinding gears and noise. The rear differential is made up of many gears with teeth precisely entwined and arranged with each other. If, for example, lubrication runs low or the arrangement of the gears goes out of place, rear differential noise occurs. 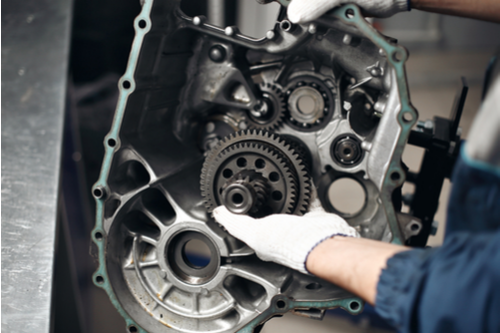 Gear whine, bearing noise and clunking are common rear differential noises that should be a concern to vehicle owners.